Web Hosting, Domain and VPS - TLD6.com: SSD Hosting & HDD Hosting – Which One Is Best? Today, many small, medium & large size organizations are adopting Windows VPS hosting services. 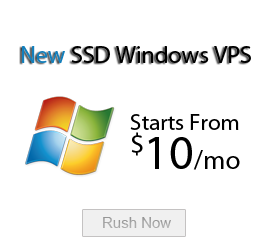 In windows VPS hosting you will get services as dedicated server in reasonable prices. The websites that uses technologies like .ASP, ASP.net, SQL databases are best suited with windows VPS. In this hosting your hosting service provider provides you many technologies like ASP.NET, MSSQL database, control panels & compatibility with applications & software by Microsoft. In this hosting you will also get Graphical User Interface (GUI) feature. Along with these features, many service providers provide VPS with SSD feature. This is a drive like HDD but has more speed & reliability. At present time SSD is providing highest speed of data uploading as per as the good performance in comparison to others. Below mentioned is brief description of both drives. HDD stands for Hard Disk Drive. You can get hard disk in low cost around $.075 per GB. This is heavier than SSD around 752g. HDD contains moving parts platters, hard disk head stores & reads data from the platters by moving around its axis while platters spin fast. The average boot up time of this drive is around 40 sec. Lots of disk space capacity available in hard disk capacity range from 500 GB to 4 TB. Hard disk has moving parts so more heat is produced. Speed of HDD is less than SDD. In this drive spinning can be heard due to spinning or moving parts. This is not safe from effects of magnetism so your data can erase. SDD stands for solid state drive. This is made up of either plastic or metal case & looks like a battery. This drive doesn’t have any moving parts, & information is stored on microchips. So SSD is faster than HDD, data can be accessed with high speed. But this is more expensive than HDD around $1 per GB. This drive is lighter than hard disk (77g). This drive has three components- controller, capacitor & cache. Controller performs operations related to reading & writing the data. This is the main part of drive to determine speed of drive. SSD contains NAND based flash memory & this is non- volatile memory. If you turn off the drive, it doesn’t forget data stored on it. Operating system boot up time of drive is around 22 sec. There are no moving parts so little heat is produced. But it has limited storage space capacity from 250 GB to 1 TB. This drive is safe from effect of magnetism. If your website requires high performance & fast response time or you are running a busy site, you should opt for SSD hosting plan. Both hosting options are good if you choose according to your needs. Before choosing a hosting plan, you should clear about your requirements: storage space, high performance & cost.